Last month, I had the privilege of attending and presenting at the Byte of Texas Conference, a food blogger conference presented by the Austin Food Blogger Alliance. What a fantastic conference! I have been to dozens of conferences over the years of all types, and I can honestly say that this conference was among the best. Great speakers, GREAT swag bag, and tons of great food. Topics included search engine optimization tips, social media ethics, and the business of blogging. I particularly enjoyed the keynote by Melissa Skorpil about food photography. If you ever get a chance to hear Melissa speak, you should definitely take advantage of it. She knows her stuff. She’s also willing to share that information to anyone who asks. Another session that I found extremely useful was the SEO, Syndication, and You: Feeding the Google Panda, given by Eric Hochberger and Amber Bracegirdle. An Internet entrepreneur, Eric knows SEO backwards and forwards and gave lots of tips on how to keep your SEO on Google’s good side. My talk on Essential WordPress Plugins took place on Sunday afternoon. Considering that it was the second to last time slot of the day AND it competed against both some heavy-hitter writers in Writing for Publications and Shepherd to Chef: Lamb 101 (complete with samples from Dai Due chef Jesse Griffiths), I was actually pretty pleased at the turnout. It would be hard for me to decide between lamb and fudge, but if I had to choose, I would probably go with the meat. For those who wanted to learn all about WordPress plugins but made the hard decision to attend either of the other two sessions, I made the slides available on the blog. Feel free to contact me if you have questions. 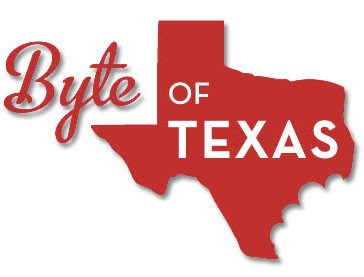 If you are at all interested in food blogging, blogging of any sort, or even just food, you should sign up for next year’s Byte of Texas conference. I definitely will!